Stay Active. Be Healthy. Live Happy. SIGN UP USING THE FORM BELOW OR CALL 503-554-0661 TO MAKE AN APPOINTMENT. Our entire team at Newberg Family Chiropractic is committed to providing Chiropractic solutions to address your unique needs, whether you are experiencing back pain, neck pain, headaches, or even muscular tightness and tension. You may be searching for pain relief after an accident or injury, may be suffering from a specific condition like chronic neck, back pain or headaches, or just looking for a way to increase your overall athletic performance level and mobility. If this sounds like you, our team of Chiropractors, assistants and Licensed Massage Therapists can help you attain your goals! At your first visit to Newberg Family Chiropractic, our Doctors will explain how Chiropractic care works and give you a full evaluation to see if our Chiropractic solutions are a good fit to address your needs. If there is a good fit, we can customize a plan of Chiropractic care for your condition and health goals. If your condition requires an orthopedic consult, massage therapy, physical therapy, acupuncture, naturopathy or further imaging our doctors work closely with many other healthcare fields in Newberg and the Portland Metro area. If you have not been to a Chiropractor before and want to find out more, please email us at [email protected] or call 503-554-0661 to receive the answers to your questions from our experienced team.We also welcome referrals, so we invite you to share our chiropractic and wellness information with your friends and loved ones. Dr. Jacob Malpass grew up working on his family-owned farm in Harrisburg, OR before receiving his Bachelor of Science in Exercise and Sports Science from Oregon State University. Following his undergraduate studies, Dr. Jacob attended the University of Western States where he received his Doctorate of Chiropractic medicine in 2012 and Master's in Exercise and Sports Science in 2011. Dr. Jessie grew up mostly in sunny San Diego, where she earned her Bachelors of Science in Human Biology from the University of San Diego. She then moved to Oregon to pursue her Doctorate of Chiropractic at the University of Western States, where she graduated in 2015. 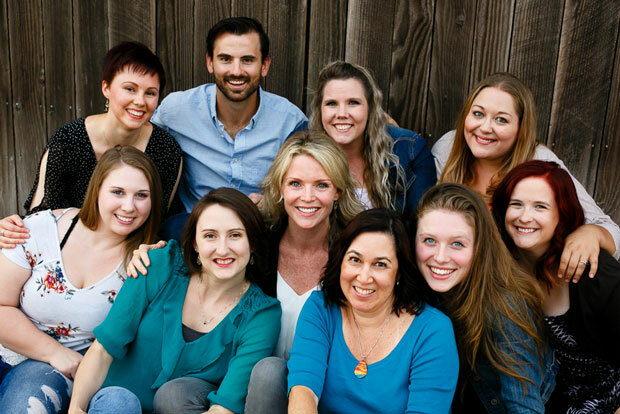 While in practice in North Plains, OR, Dr. Jessie began furthering her education to become Webster certified in treating pregnant women throughout their pregnancy and into motherhood. "They have the best most caring staff. Their doctors know so much and work with your body to reach goals and their massage therapists are the best I've ever had!"